‘New’ gets attention and provokes a variety of reactions. New means good, more advanced, more original, more unusual. New means better. New means cooler – more fashionable. Most of all, new implies that the object of our attention is something that we haven’t seen before. However, more often than not, it isn’t. The vast majority of products or services that are branded ‘new’ are anything but. Or rather, that they may well be ‘new’, but they are far from being ‘different’. Most ‘new’ things are simply revisited versions of what has existed before. New combinations of the familiar – or “mash-ups”, to use today’s vernacular – with a liberal sprinkling of marketing pixie-dust to help it on its way. Once you pare away the fancy packaging, the jargon and the glitter, you’re left with something that isn’t very dissimilar to what has existed before. Today, we have become desensitized to the ‘new’. Instead, we crave the ‘different’. The different is the new New. Examples of the different abound. The iPhone. The Herman Miller Aeron Chair. 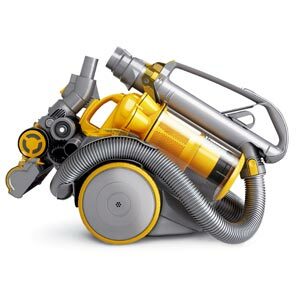 The Dyson Vacuum Cleaner. Even after they are – inevitably – copied, the different are remembered. In a world full of me-too products and services, the only hope of standing out today is by being different. Perhaps a different product specification, service offering, or price point. A different distribution model, or maybe a different approach to customer service (for the better, I would hope). Different isn’t the easy option. Nor is it the safe option. But it may well end up being your only option. I read this article on the KEXINO website and thought it might be something for you. The article is called Think Different and can be found at https://kexino.com/marketing/think-different/.